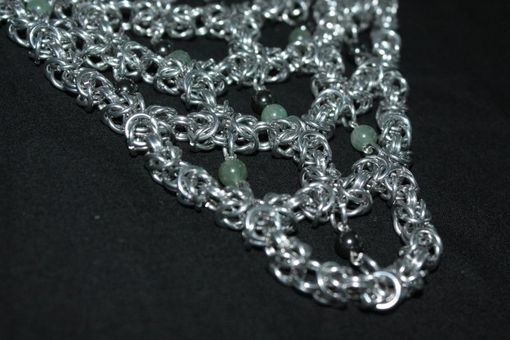 A dear friend of mine was returning to Australia, so I wanted to make her something special. 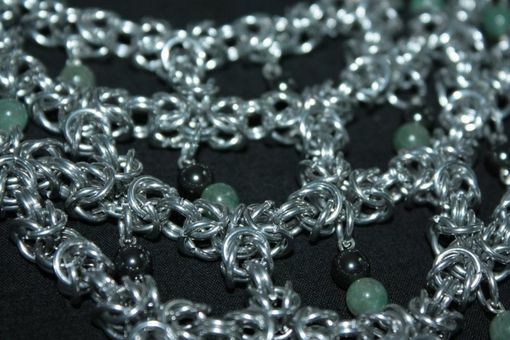 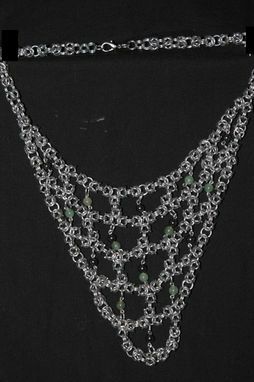 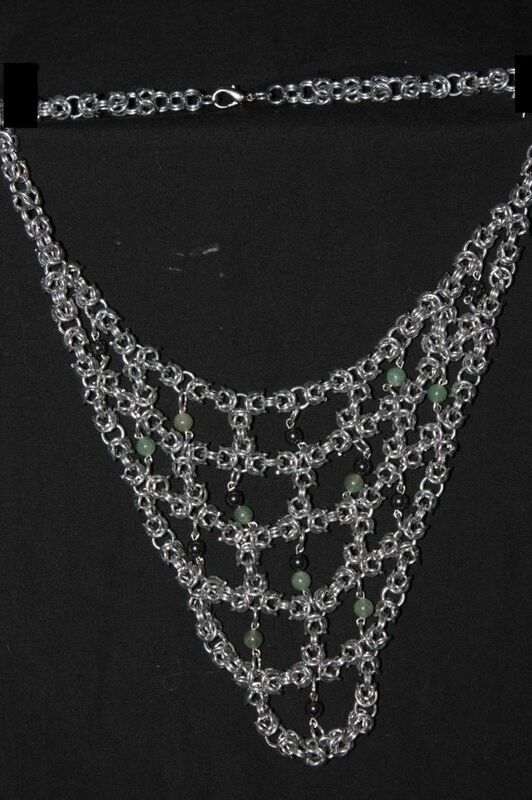 I opted to make her a necklace - so I decided to use "byzantine hexagonal" weave, and inset hematite and aventurine into the hexagons. 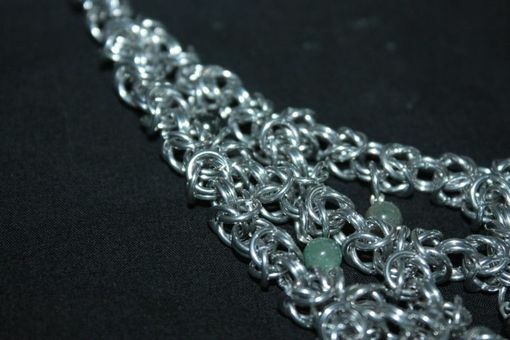 This particular project took me about 8 hours to complete - I hand-spun all the rings, then cut them and put them together. 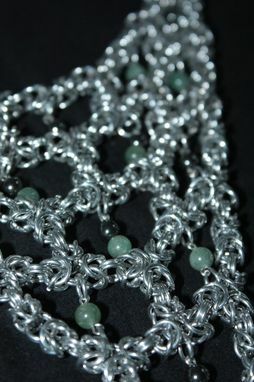 The metal used is bare aluminum, though I can work with any metal desired.